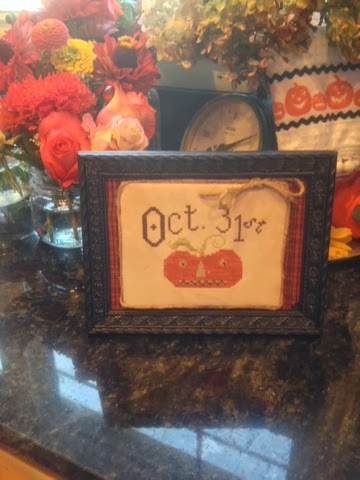 I thought I would share some of my Halloween crosss stitch finishes..Beggars Night was mounted on sticky board and then attatched to this chevron frame with the clip that is attatched to it. I got the frame at Hobby Lobby. Oct. Jack is mounted then attatched to a fabric back I put in this 50 cent thrift store frame , that I spraypainted black. 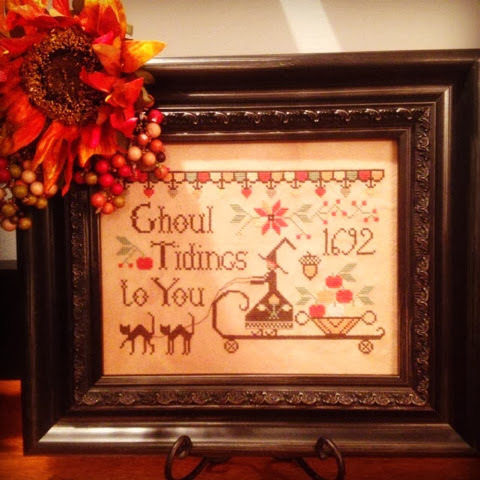 I finished stitching Ghoul Tidings this week , it is from the Just Cross Stitch special Halloween issue .. Its from Plum Street Samplers. I framed it in a frame from Hobby Lobby and added the floral pick to the top. Thanks as always for your nice comments and visits ! I appreciate all of them :) Have a great weekend ! Very pretty..I used to do a lot of cross stitch. You don't need to add me to the giveaway as I really don't do Halloween...but they are cute! 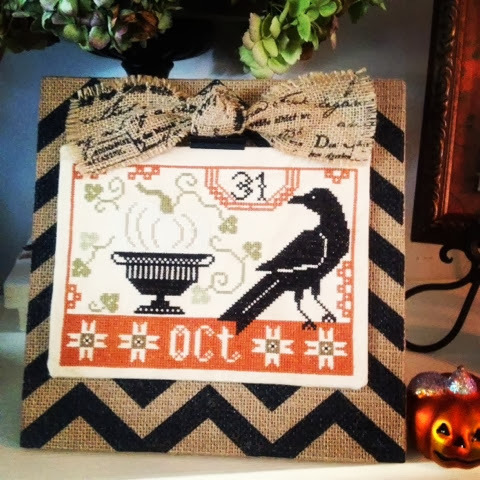 I love all your Halloween stitches!! Love it. You are fast!! Those are so cute.. I have been wanting to try this. pretty frames too!